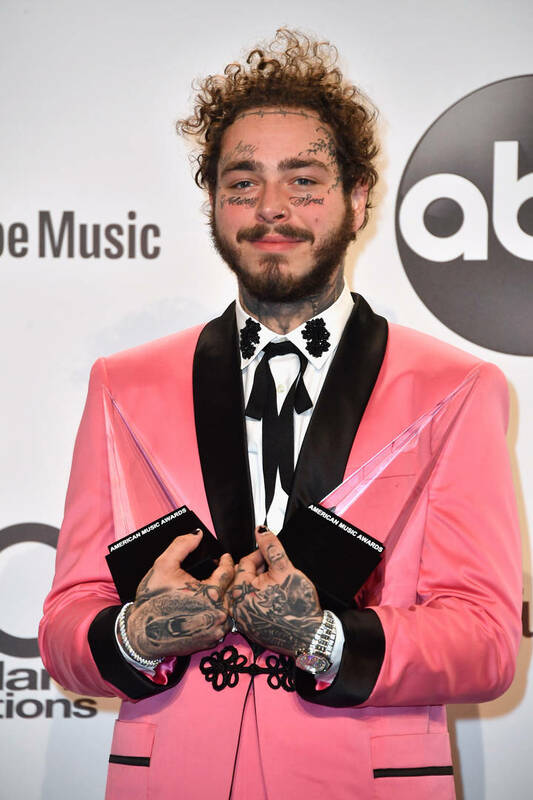 Post Malone is one of the biggest pop stars on the planet. Ever since the release of Stoney, Posty became a household name with beerbongs & bentleys cementing his position in the game. In the past few months, he's released a few singles, and although they were slow burners, they proved to hit records. Now, his two most recently released singles have claimed two spots on this week's top 5 on the Billboard Hot 100. "Wow" and "Sunflower" are currently sitting high on the Billboard Hot 100. The rapper dominated this week's chart with both singles that are currently sitting in the top 5. "Wow" has reached the top 5 for the first time, jumping two spots from 7-5. "Sunflower" with Swae Lee previously topped the chart but now, it sits at number 2. Billboard points out that there are a few factors that played into the surge of "Wow." The rapper co-signed a viral video of a Florida man who did an incredible routine to the song which the publication claims helped its leap into the top 5. On Friday, Posty released the remix with Roddy Ricch and Tyga which will likely help push the track higher up the charts. Post earns his fifth top 5 hit with "Wow." Posty hit the top of the chart with "Rockstar" ft. 21 Savage, "Psycho" ft. Ty Dolla $ign and "Sunflower." Posty hit number 3 previously with his single, "Better Now."